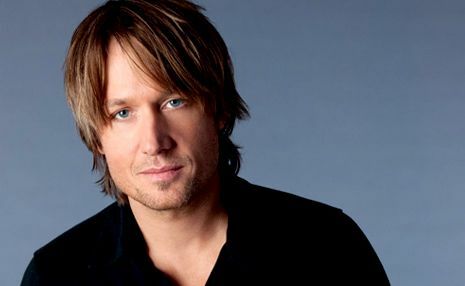 FOR fans of Keith Urban and country music, we have secured a behind the scenes video sneak peek of Kiss a Girl, the latest song from his album Defying Gravity. Defying Gravity offers listeners the opportunity to hear Urban coming of age and creating his most personal and affecting music to date. According to Urban, the album reflects right where he is in his life right now, in terms of marriage, home and his new baby, Sunday Rose. “Between marriage and sobriety and having a child, it’s been an extraordinary gift that I just couldn’t have imagined, or maybe I could have imagined but didn’t know how, or when…or if,” Urban said. “So, for those things to come together now is absolutely beautiful. It’s allowed me to be present in a way I’ve never quite been. I was always thinking about tomorrow, or the past, anywhere but here. Even though I made an album called Be Here, I still wasn’t ever really here. Now I love being present – I have a lot to be grateful for in the present,” he said. The road that Keith Urban has taken has not been without its bumps, which only makes the happiness and peace that Urban has finally found in his own life, a subject he explores musically on Defying Gravity, all the more meaningful. Check out the behind the scenes video of Kiss a Girl, as well as some of Urban’s other hits now under ‘playlists’ in the music video player.